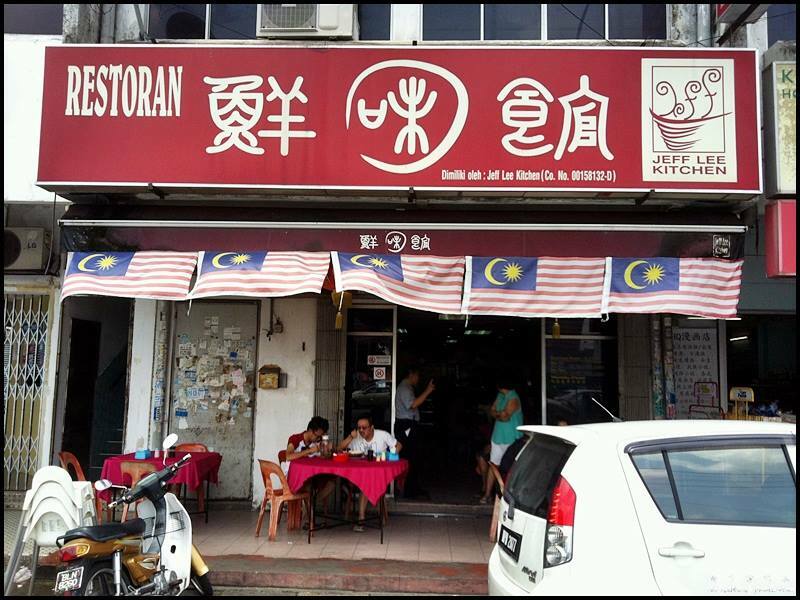 There are two particularly famous Chinese restaurant in Sungai Buloh; Restoran Lee Hong Kee (formerly known as Restoran LYJ) and Jeff Lee Kitchen. 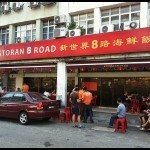 Both the restaurants are always busy because food is good and the prices are affordable. 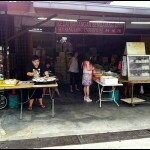 Jeff Lee Kitchen is located at Kampung Baru, opposite a car park. 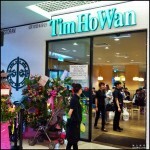 They have two shops; one is air-conditioned and the other one is not. 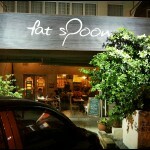 The restaurant is always crowded during peak hours, so you might have to wait in line to be seated. Jeff Lee Kitchen is a typical chinese restaurant with red tablecloth and newspaper clippings lasted on the wall. 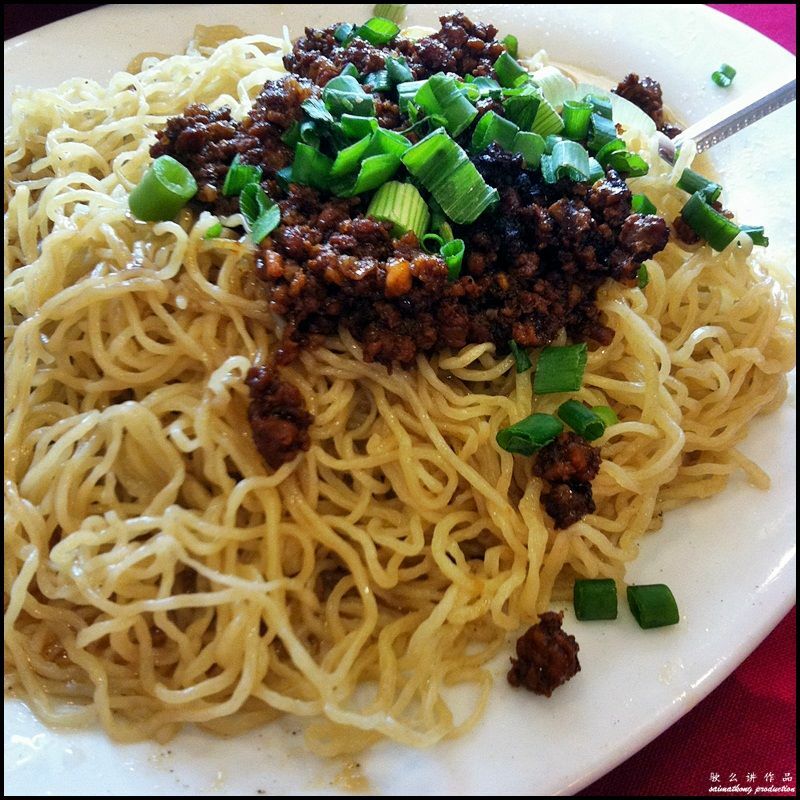 This Minced Pork Egg Noodle is one of their signature dish. The noodles were blanched in boiling water and then topped with minced pork, spring onions and pork lard. A simple but flavorful noodle dish. 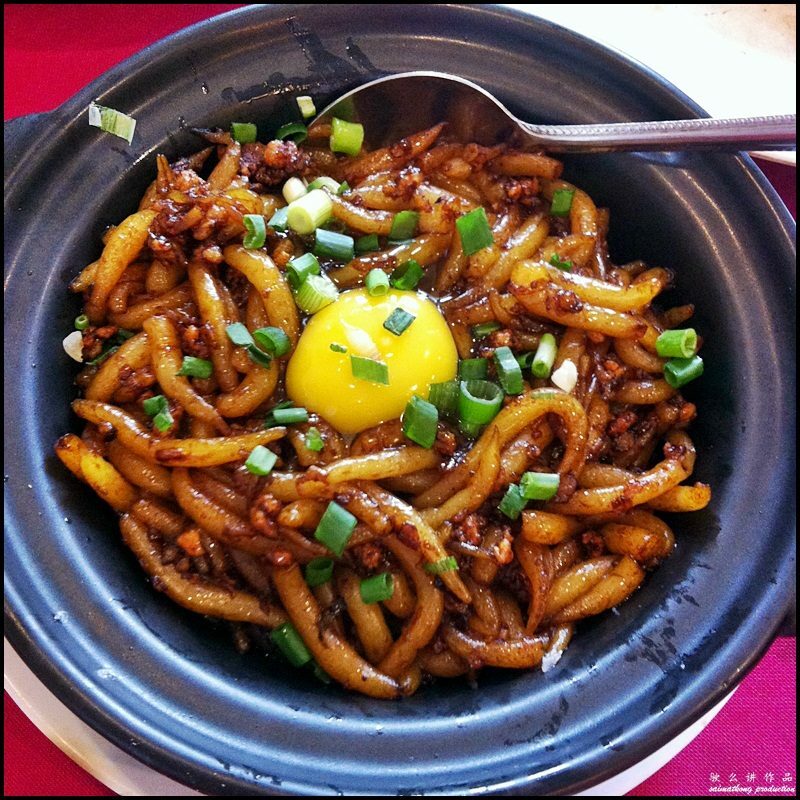 This Claypot Lou Shu Fun (老鼠粉) or known as ‘Rat’s Tail Noodle’ is also one of the must-try at Jeff Lee Kitchen. 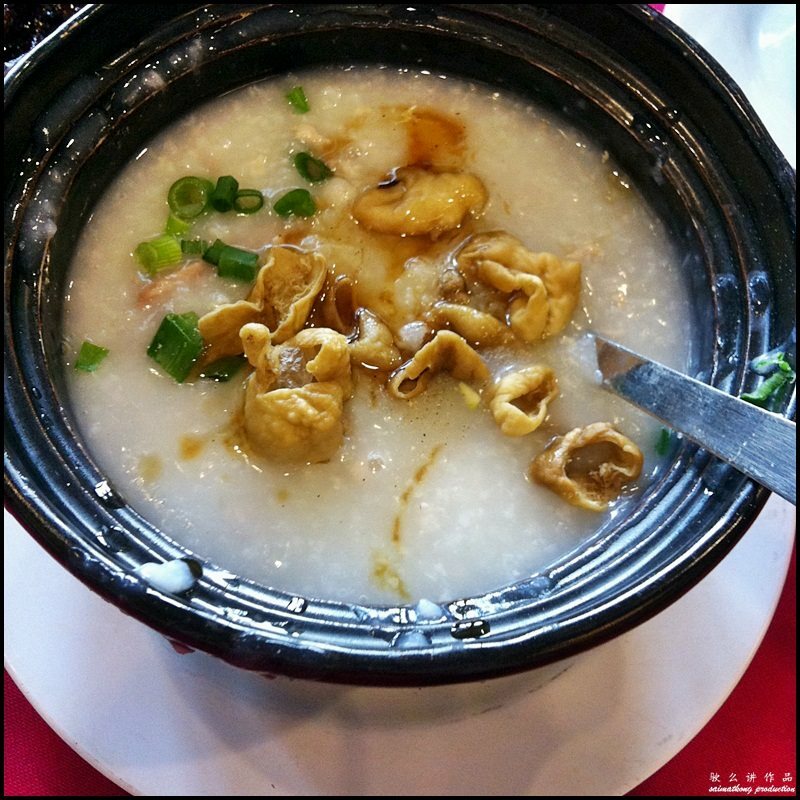 The lou shu fun has generous amount of minced meat and topped with a raw egg. The noodles are smooth and taste good. The porridge taste alright, nothing special IMO. Basically the standing chicken is a roasted chicken but served standing. 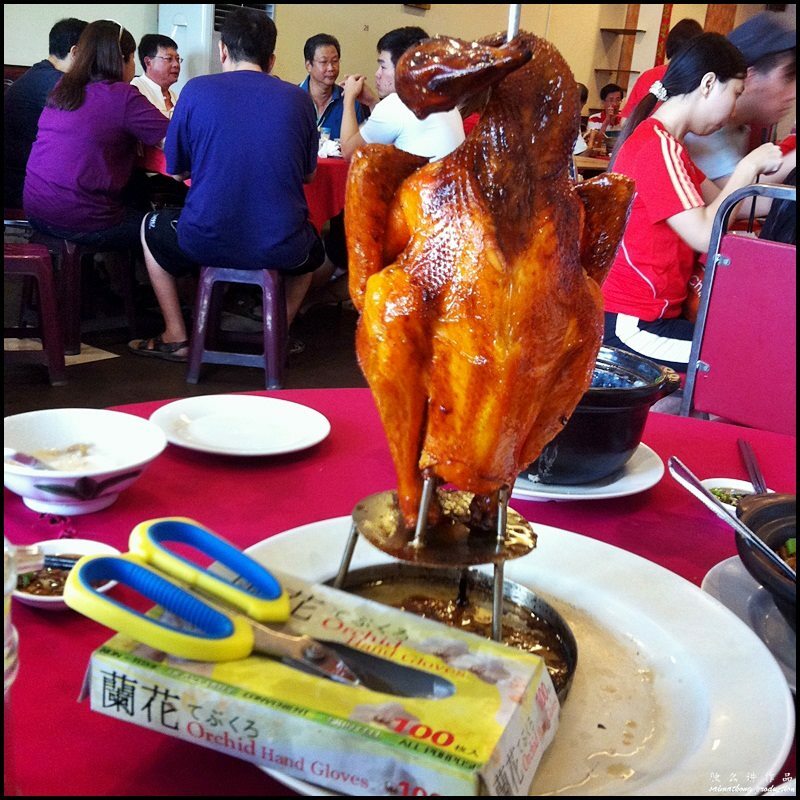 Disposable gloves and scissors were provided to cut the chicken. Taste wise, I’d say there’s really nothing special, taste similar to roast chicken. 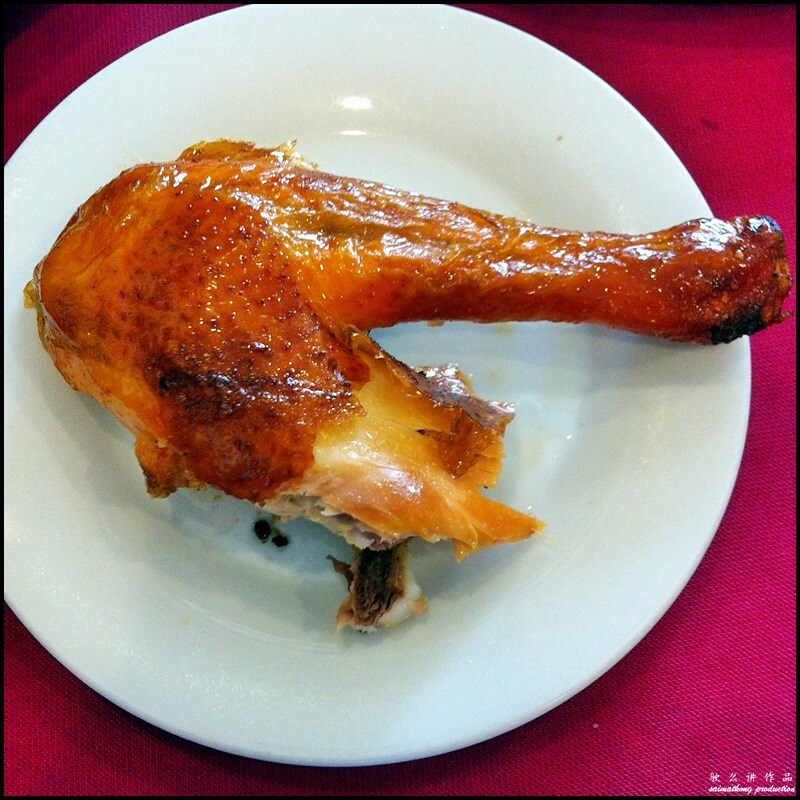 The standing chicken is served with chili sauce and sour plum salt for dipping. 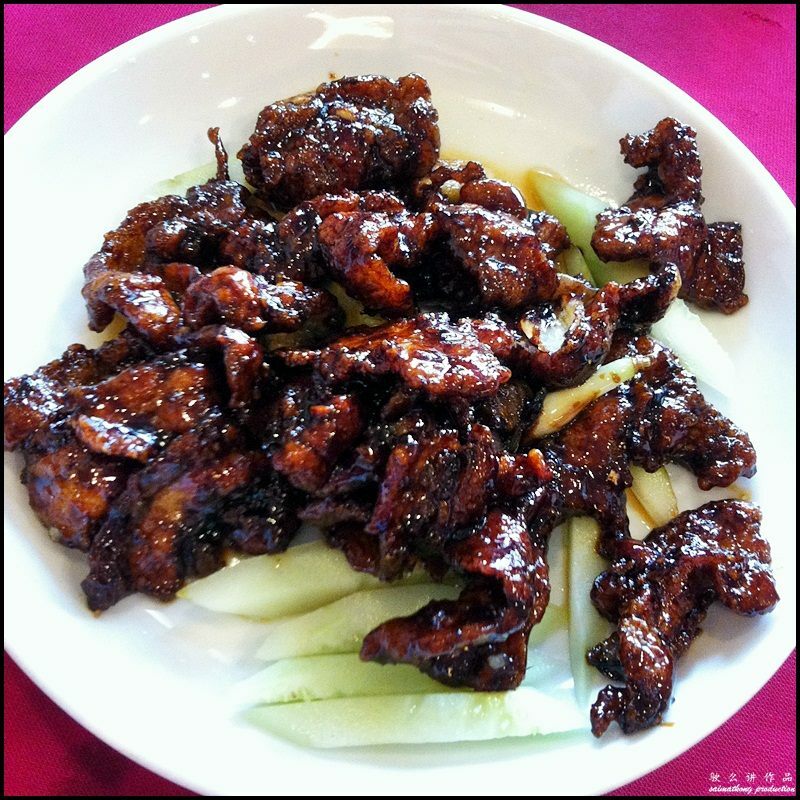 The thinly sliced pork belly is first fried to perfection and then stir fried with special dark soy sauce. Very crispy and super addictive. 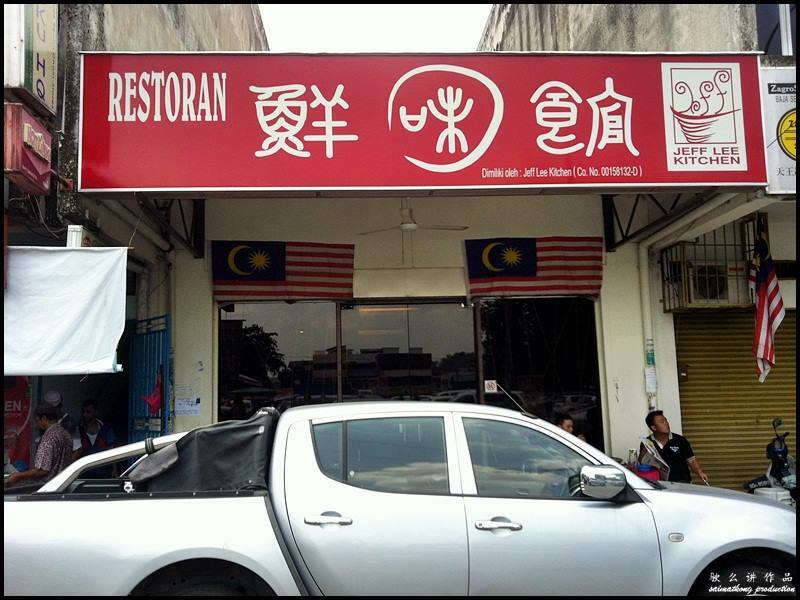 Verdict: Jeff Lee Kitchen is one of the famous chinese restaurant at Sungai Buloh serving a variety of good and cheap chinese dishes. 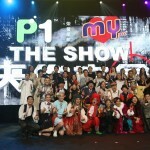 Their signature dishes include Pei Pa Duck, Sang Har Meen, Paku Pakis Salad, Steamed ‘Song’ Fish Head, Claypot Lou Shu Fun and more. 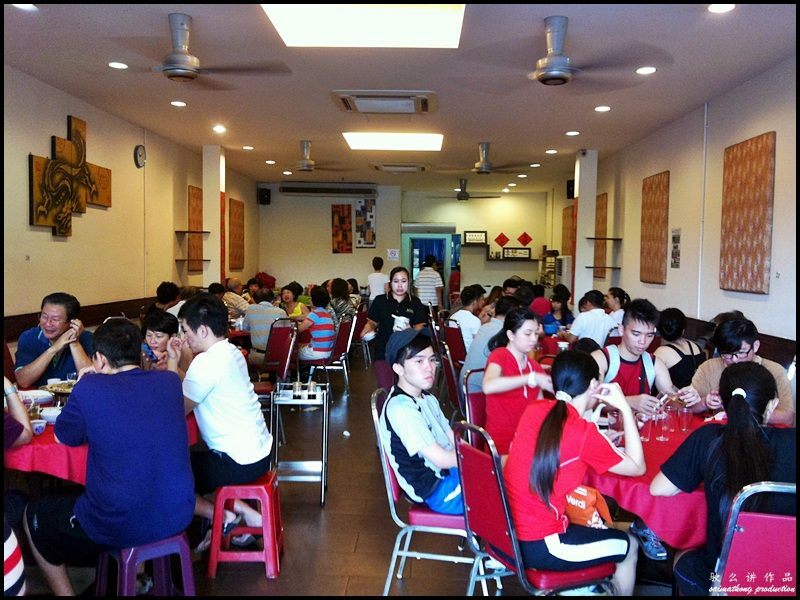 The restaurant is always packed during lunch and dinner hours, be sure to arrive before 6pm to avoid the long queue.